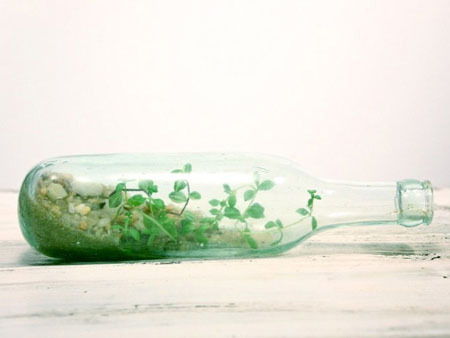 We have heard about someone who do bottle recycling from all over the world today. 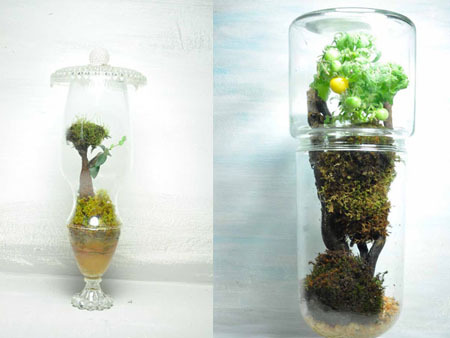 This is their way of helping to save the earth and of course, also a save of money for themselves. 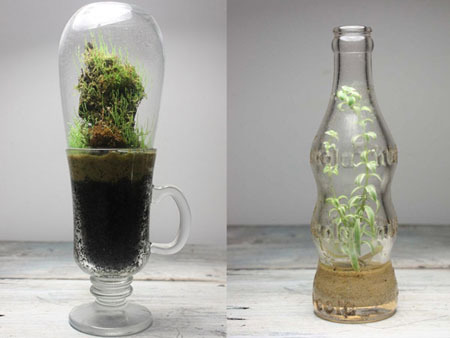 Normally, recycled bottles are being re-used or repurposed by melting them again to mold a new set of useful glass bottles. 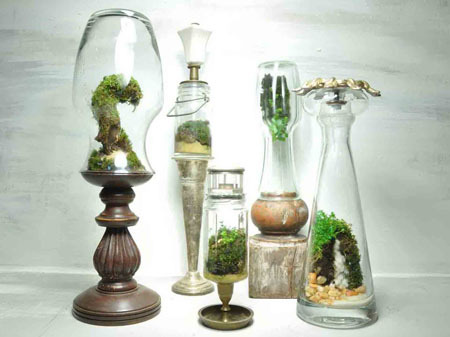 A shop in Philadelphia called The Slug and the Squirrel does a different thing in recycling bottles. 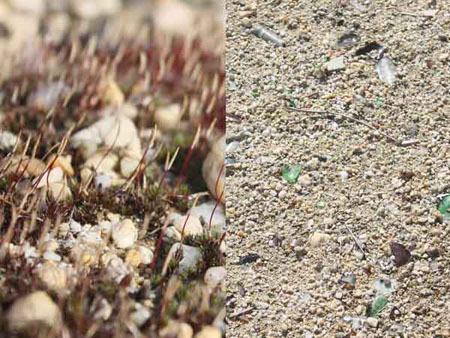 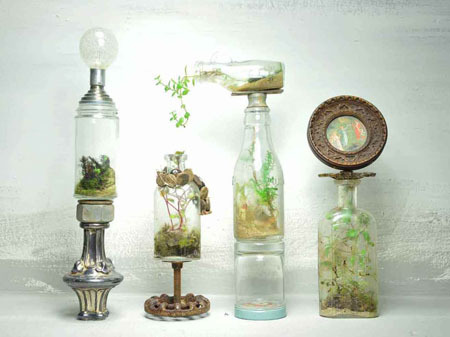 The owner and artists Jose Agatep recycled bottles and used it to create terrariums with locally grown plants, wild mosses, small stones, soil, and wood chips inside. 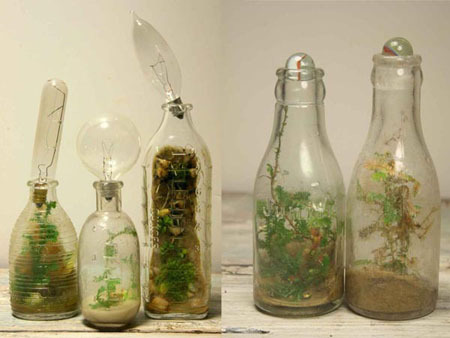 This can different to what we have used to know about bottle recycling, but this is a great way to help reduce waste. 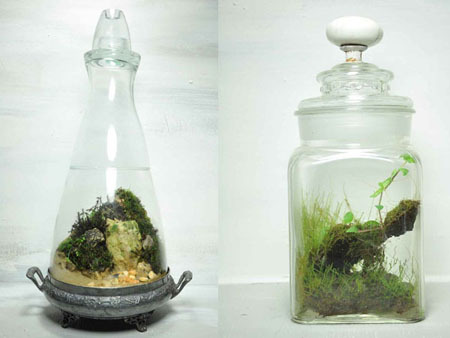 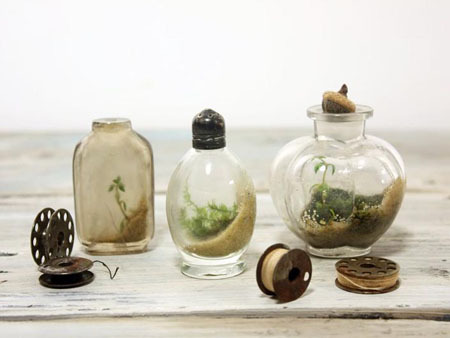 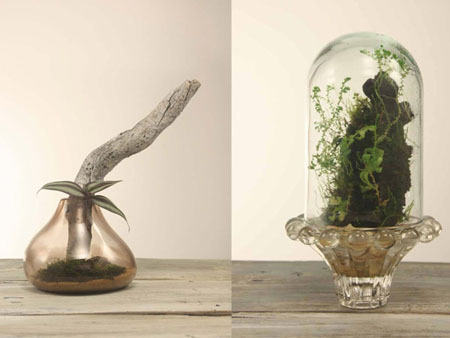 Other than that, these terrariums ore what the shop owner/artist called as self-contained eco-systems will also serve as a great addition to your home interior design creating a refreshing an unique ambiance.